I am a recipe hound. I collect recipes. Used to be, “back in the day”, I’d have to buy a magazine (or hope no one saw me tear that recipe out of the year old magazine at the dentist office), but now with the internet and all the wonders that go along with it, I get all the recipes I can handle. 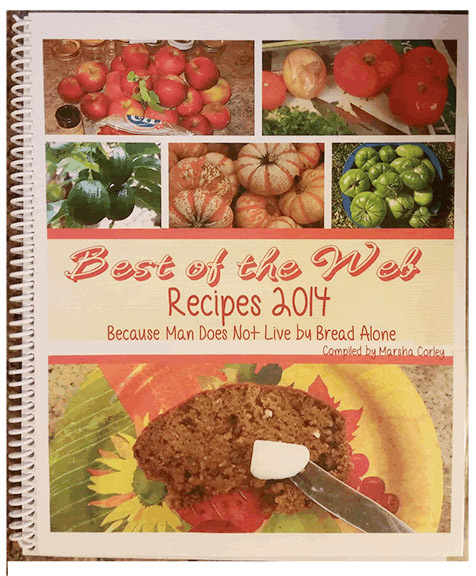 Last year I started collecting the recipes in a desktop folder and at the end of the year, I printed them out and put them into a spiral bound book. I even designed the cover using my own photographs. So I’ve started collecting again this year and have amassed quite a few already. I saw this recipe on Facebook the other day and I thought it sounded really good and knew I wanted to try it. 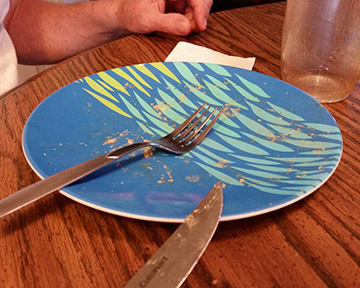 It had been posted by http://www.gooddinnermom.com. One of the things I’ve learned over the years, is that most time, and note I said MOST time, you don’t have to follow a recipe exactly to get a good result. When I cook, I’m all about simplifying. Sally’s recipe called for pounding the chicken, cooking it, slicing it and then keeping it warm in the oven. To save time, I just sliced the raw chicken into strips and cooked it that way. I tried to make sure my slices were fairly uniform in size to assure even cooking and I cooked them in bacon grease. So if you follow Sally’s recipe, she calls for preheating the oven to 250 degrees. I omitted this step entirely as I found there was no need to use the oven. Her next step is to heat the chicken broth and wine over medium heat, boiling until it cooked down about 1/3. I did this too (without the wine because I didn’t have any) then I reduced the heat, added the lemon juice, butter and the half and half, stirring occasionally while I cooked the lightly floured chicken in another sauce pan (in the heavenly bacon grease). When the chicken was done, (I test by cutting through a couple pieces to make sure there was no pink remaining), I poured in my can of tomatoes and added the garlic and cooked it a few minutes longer. Easy peasy, no chopping tomatoes. While the chicken and tomatoes finished cooking, in the cream sauce pan I added the Parmesan cheese, cooking until the sauce began to thicken. 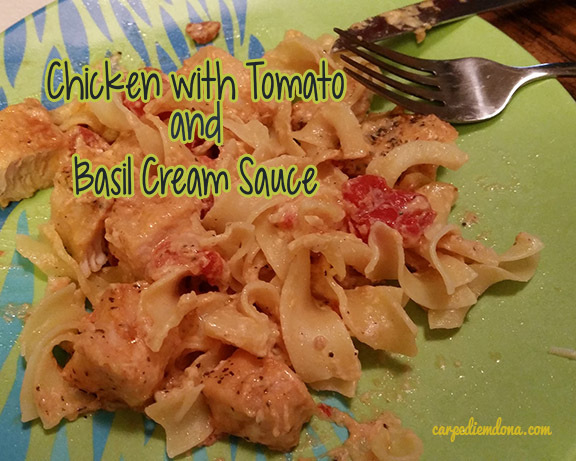 When it was thickened, I poured it over the chicken and tomato mixture, sprinkled it with dried basil, stirred and served it over egg noodles. This was a big hit. 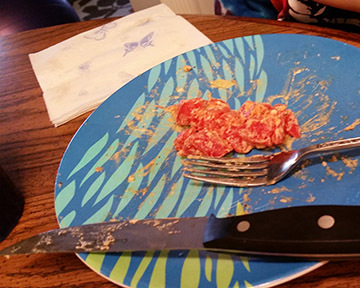 My husband loved it as evidenced by his clean plate (two helpings) and my granddaughter liked it too, except for the tomato which she managed to pick out. But what a great kid, she never even mentioned she didn’t like tomatoes. I will definitely be making this again. Next Name Something Your Mother/Grandmother….